FFA - Bellevue University is a top advertiser at Huffington Post who fundraises for CAIR and publishes articles blaming Islamophobia for worldwide conflict with Muslims. The email for this article was deactivated after Bellevue University stopped advertising. The Huffington Post Arabic edition is run by two hardline Islamists according to a report published by Breitbart. The following Breitbart article illustrates one of the top reasons why Florida Family Association is encouraging Corporate America to stop supporting the Huffington Post with their advertising dollars. The two men leading Huffington Post’s new Arabic-language site have in the past been accused of having direct involvement with the Muslim Brotherhood and radical clerics; and one has openly expressed conspiratorial views that have been interpreted as having an anti-Semitic connotation. Anas Fouda, an Egyptian native now living in Muslim Brotherhood-friendly Turkey, is the new editor-in-chief of HuffPost Arabi. He was arrested by UAE authorities in 2013 after being charged with being a leader in the Islamist group, according to a NOW Lebanon, which linked to an article in which Fouda allegedly admitted that he has been a member of the Brotherhood since 1988. Prior to becoming the Huffington Post Arabic editor, Fouda was an executive producer at Al Jazeera Arabic, a network accused of having rabidly pro-Brotherhood biases. After examining his past statements, NOW Lebanon writer Alex Rowell described Fouda as “bread and butter MB; recommending for instance, articles praising” Yusuf al-Qaradawi, who is considered the spiritual leader of the Islamist group. Qaradawi has in the past praised Nazi leader Adolf Hitler as someone “sent by Allah” to “punish” the Jews. The Muslim Brotherhood kingpin’s arrest is now being sought by INTERPOL, the international counter-terror organization. The Huffington Post’s Arabic venture was created after the left-wing news network teamed up with Integral Media Strategies, an organization led by Wadah Khanfar, who was previously employed as Al Jazeera Arabic’s managing director. Khanfar, like Fouda, has been arrested by an Arab government (Jordan) on suspicion that he was a leader in the Muslim Brotherhood terror group. Additionally, Zvi Mazel, the former Israeli Ambassador to Egypt, has in the past noted with certainty that “Wadah Khanfar is a Muslim Brother,” and that the former Al Jazeera chief turned the network into a “weapon in the service of” the Muslim Brotherhood. Khanfar was known to “work closely” with al-Qaradawi and the Qatari government, the Jerusalem Center for Public Affairs has reported. Under Khanfar’s control, Al Jazeera Arabic’s coverage shifted towards “encouraging opposition and promoting incitement against Arab regimes, exposing the corruption of their leaders and their entourage, while holding to an extreme Arab nationalist attitude against the US and Israel and extolling the values of conservative – and sometimes extremist – Islam,” the research institute found. Twelve examples of Huffington Post’s Islamist propaganda articles are posted at the bottom of this article. 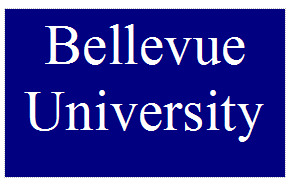 Bellevue University has frequently advertised at Huffingtonpost.com for several weeks. Florida Family Association has prepared an email for you to send to encourage Bellevue University officials to stop supporting the Huffington Post’s biased religious propaganda with their advertising dollars.